Manufacturer’s Description: Han Solo, Chewbacca, Darth Vader, Obi Wan Kenobi, Emperor Palpatine, Boba Fett and Lando Calrissian take centre stage in this wonderful illustration. It also shows some of the saga’s most iconic vehicles and vessels, including the Millennium Falcon, ATAT Walker and Cloud City. 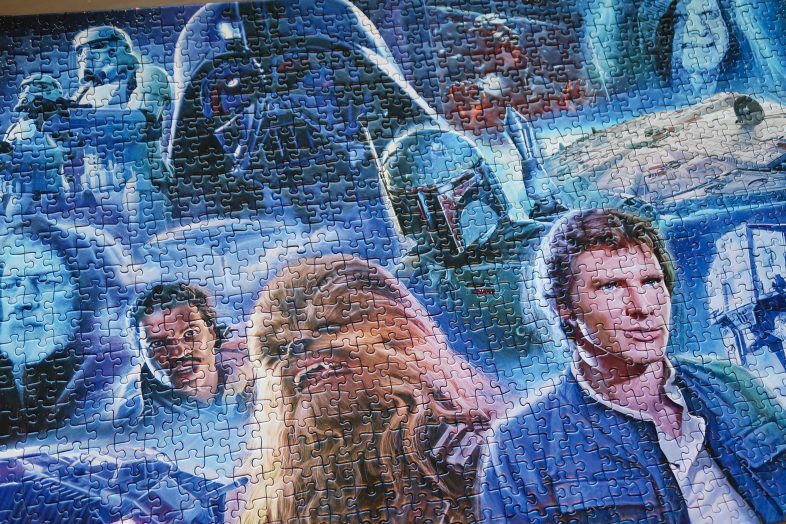 Review: I’ve always enjoyed the Star Wars films so pairing that with my not-so-secret love of jigsaws is ideal. I get to relax by putting together a puzzle featuring some of my favourite characters. 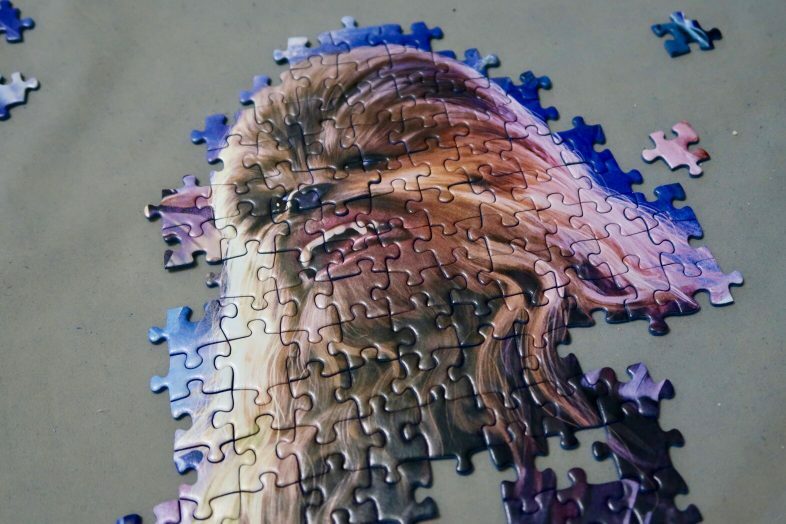 This Star Wars themed jigsaw puzzle features Harrison Ford as Hans Solo and the Millennium Falcon, which is perfect with the new Solo: A Star Wars Story coming out. 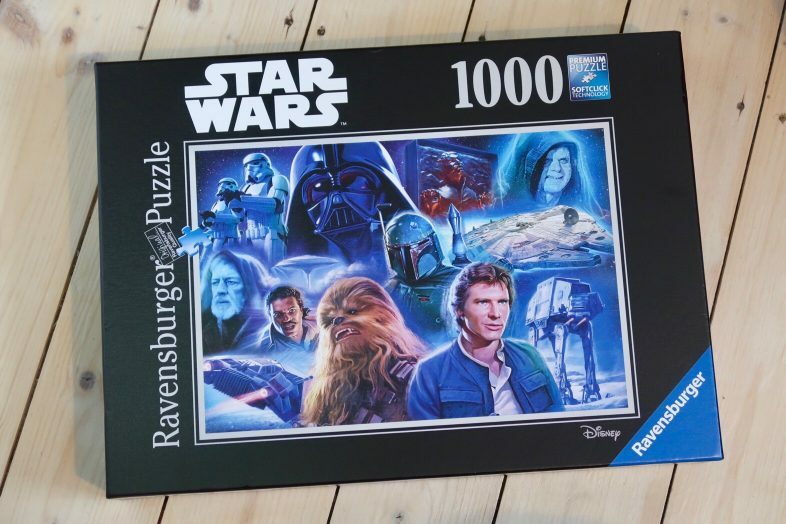 The finished puzzle measures 70 x 50 cm and fits a ‘standard’ 1000 piece puzzle board. Unfortunately there was some damage to the edge of a couple of the jigsaw pieces when I opened the bag up. 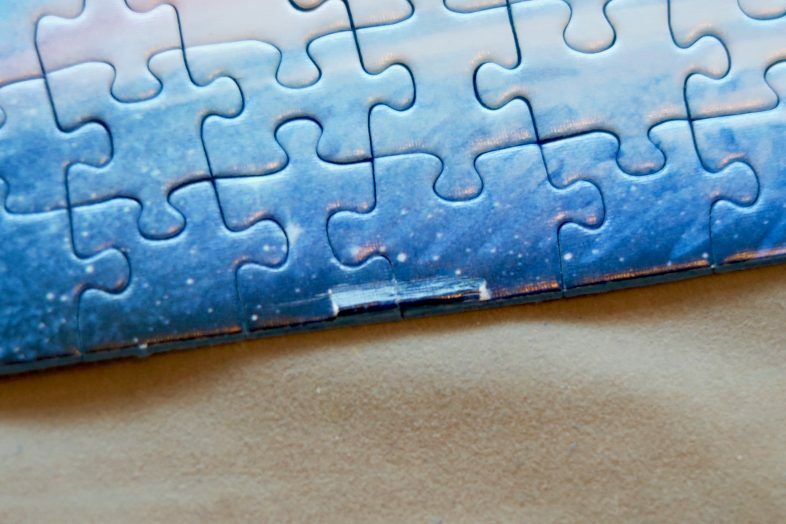 This is the first time I’ve have any problems like this with a Ravensburger puzzle and thankfully it didn’t impact the way the pieces fit together. 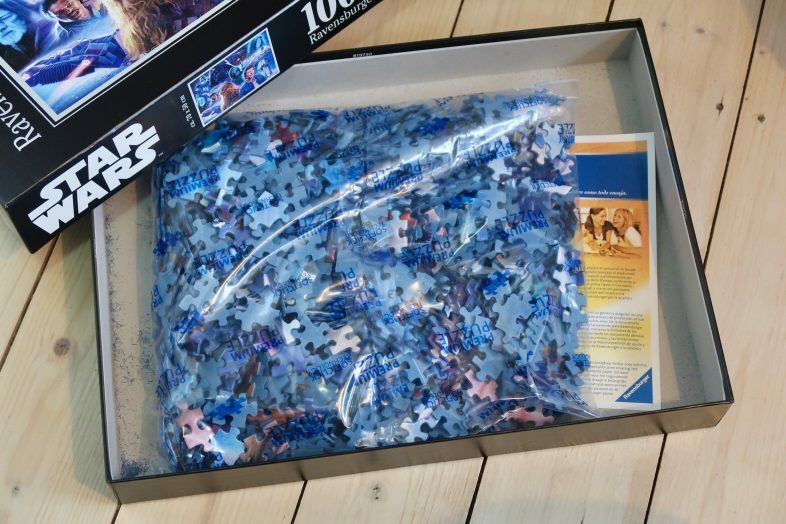 Other than that small issue, the puzzle was really nice to put together, with the many shades of blue and black making it challenging but not impossible. Chewie was enjoyable to piece together, all brown fur and different light and shadows. 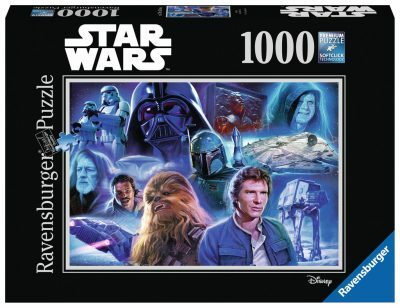 This puzzle is perfect for any Star Wars puzzling fan, showing some of the most popular characters from the original trilogy, including the iconic shot of Hans Solo trapped in carbonite. 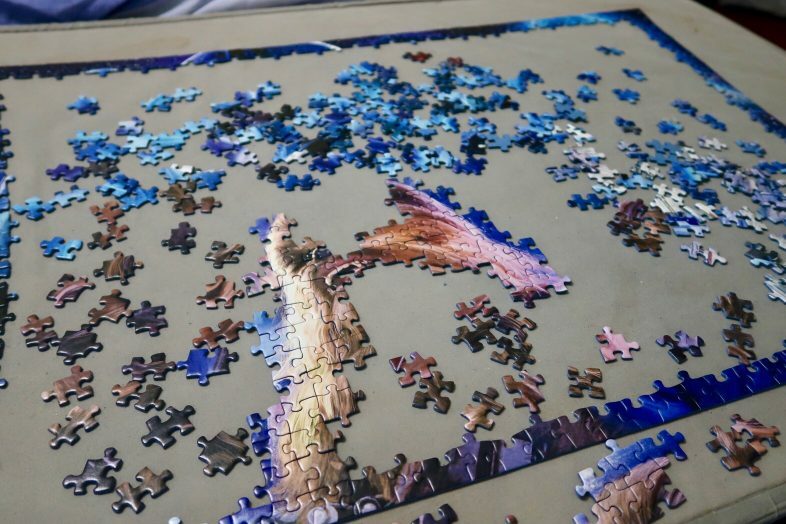 The jigsaw is made from good quality cardboard, with a linen finish which helps to reduce glare. 4 stars for this one.